For the seasoned (no pun intended) gastronome, the word ‘buffet’ is often met with an air of cynicism, thanks to numerous sub-par dining experiences. Below is a list of all-you-can-eat weekend brunches which are not only delicious, but which also come with plenty of liquid refreshment. Having your cake and eating it. And by cake, we really mean alcohol. If you think avo eggs is brunch for wimps, get yourself to one of the branches of Big Easy, where you can stuff yourself with limitless barbecue food including chicken, delicious pork ribs, fries, beans and chopped pork. Or plump for the lobster option which includes a whole lobster, a lobster roll, lobster mac n cheese, fries and salad. 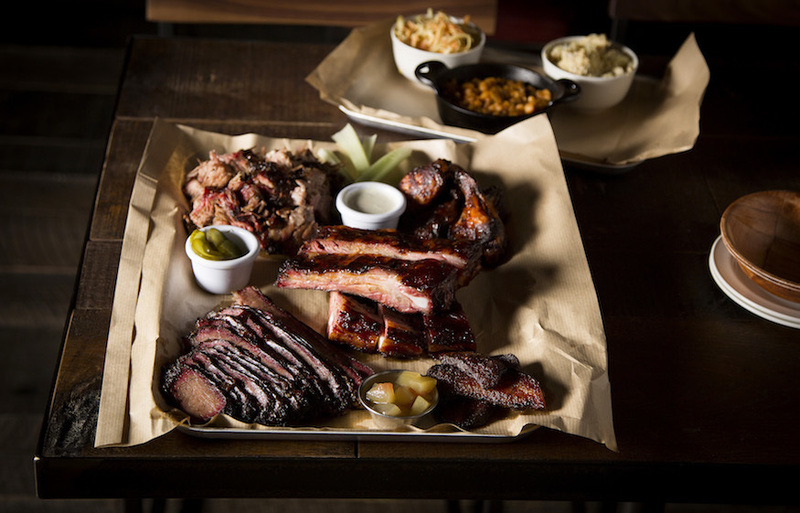 You can wash it all down with two hours of unlimited beer, prosecco and wine. The best thing about it is unlike some other unlimited deals you don't have to just stick to one drink. Yee-haw! Big Easy branches in Covent Garden, Kings Road and Canary Wharf on Saturdays and Sundays. Booking is advised as these are very popular times. One of the most (potentially) healthy brunches in the capital is at Cookbook Cafe, nestled in the Intercontinental Park Lane, with a market table of seasonal salads. Think fresh artichoke, asparagus and butter bean with tomato. However, there’s also syrupy waffles on demand and a plethora of good ol' fashioned English comfort food, including perfectly formed eggs Benedict and sunday roast. To offset any initial virtuous intentions, it’s impossible to resist a visit to the dessert stand, a Mecca of sugar with a whopping 12 treats (and a virtually untouched plate of fruit). Hence why we quantified this entry with ‘potentially’. 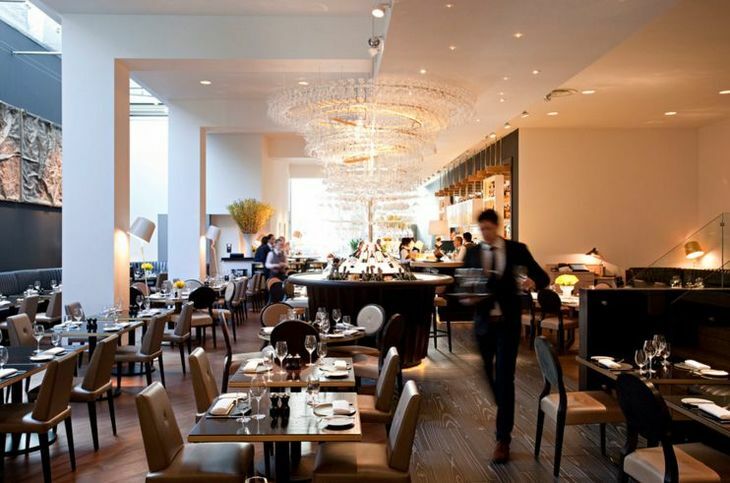 Cookbook Cafe at InterContinental London Park Lane, 1 Hamilton Place, Park Lane, W1J 7QY. We're firm believers that the second best thing to actually being in Japan is stuffing your face at a cracking Japanese 'izakaya' (their version of a pub, but tapas style). It's a boozy affair, with a cocktail on arrival and a selection of delicious hot and cold plates, including sashimi, tempura and soft shell crab, all rounded off with a main course of hirata buns with your choice of filling. The staff are pretty attentive when it comes to topping you up with the unlimited fizz too. Flesh & Buns, 41 Earlham Street, WC2H 9LX. 020 7632 9500. Forget the food, give us booze — fabulous fizz is the star of the show here. Elegant and effortlessly chic eatery, based on the sleek American steakhouses dotted all over New York, Avenue conducts a laid back and leisurely affair over the weekends with free-flowing fizz. Proper USA style, pulling no punches, expect authentic stateside favourites such as mac 'n’ cheese and buttermilk pancakes. Then there’s the ‘build your own sundae’, complete with your choice of two scoops, sauce and toppings. Naughty. Centrally located — it’s perfect for couples, boozy get togethers and ladies who, well, lunch. Obviously. Avenue, 7-9 St James's Street, SW1A 1EE. 020 7321 2111. Former Pitt Cue Co man Neil Rankin is behind the food at this egg-centric brunch hangout. You get three dishes from the menu, but let's admit it, the real lure of this place is the bottomless booze — bucks fizz, cava and Bloody Marys. You've got two hours to get as much down you as you can. Ready, steady... gorge!